*Please remember that the post for today is written by an anonymous blogger and not by myself. 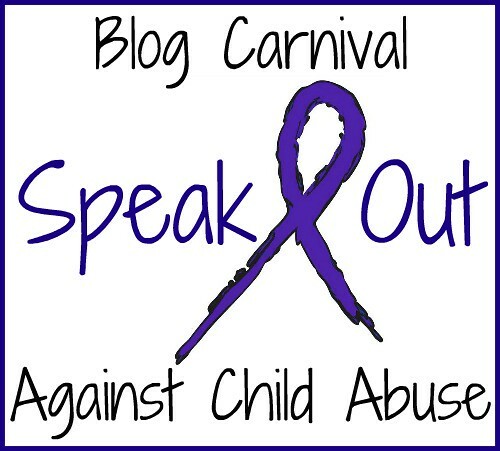 The views, ideas and opinions expressed are exclusively the anony-bloggers. 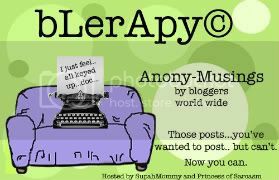 After you read today's bLerApy© post: please feel free to snoop around my blog! I love my SIL. No really! I do!!! But sometimes she really pisses me off. She is the closest thing I have to a sister. We are really close. I can tell her anything. When I tell her how fat I feel at a size 6, she listens without punching me even though she's still very large AFTER gasteric bypass surgery. She's funny and sweet and would drop everything to come running if I needed her. And I would do (and DID) the same when she needed me. A little background....my husband's family is poor. My husband was fortunate enough to receive a scholarship to college and does QUITE WELL for himself. (Thank God...cause I would not do well being poor.) His siblings all work very hard. His brother does well for himself too. Their oldest sister makes good money, but has a POS husband who drains her dry financially and emotionally....but I'll save that for another Blerapy day. My youngest SIL works hard too, but for meager wages. She moved in with us at one point so that she could get her own life and go to school. I had such faith in her. Her brothers kept telling me she would never finish school. I chastised them for being negative. They were right. I hate being wrong. Especially about this. Ok...this disappoints me, but is not the part that pisses me off. Bear with me as I set the story up further. A while back she went through the most gut wrenching event of her life. Her child was diagnosed with a very rare, very aggressive brain tumor. It was devastating. I watched in horror as she grasped to hold on to his precious little life. I drove her five hours from home to get the very best treatment possible and missed my child's first soccer banquet to be with them during their first round of chemo. She chose me over her husband to go with her. I was honored and took that responsibility seriously. She came and stayed with us at different points so I could help her take care of her baby. I changed his feeding tube and gave him medicine through the port in his stomach. I celebrated the good MRI and was eternally hopeful. I mean, SOMEONE had to be the 6% survival rate. I cried for days when we got the bad MRI and then held them both tight. She eventually had to resign from her job due to the intensity of the treatment and the number of hospitalizations. We wrote her check after check without being asked and without EVER expecting to be paid back. It's what family does for each other. We did it willingly...thankful we were in a position to help take one of the many terrible stresses off her shoulders. I would not take back one thing we did for her. But here's the problem. We bailed her out of a financial jam a few years earlier when she fell and broke her ankle. We paid her doctor bills and counseled her on saving money for "rainy days." 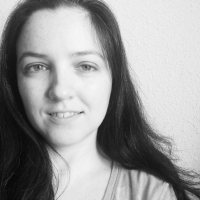 When her baby got sick, she still had no "rainy day" fund. Those were unforseen circumstances, so we bailed her out, but hoped it would wake her up to the need to be proactive. Her husband's father has been VERY ill for a long time. He lives in another country. They knew for quite some time that he was going to die. Did they save any money? You guessed it, NO! They called and asked us to "loan" them the money to fly her husband overseas to be with his family for the funeral. What?! Seriously? She knew we had been making sacrifices in our usual routine to save money for something in particular. Yes, we had the money...but why are we always expected to make the sacrifices and then use the money to bail someone else out of a jam? Because we "have money"...at least in their eyes...and are responsible with our money...we are expected (and did) to buy my FIL a truck, pay for my MIL's medical bills, subsidize my SIL's salary, pay for my other SIL's meals EVERY TIME we meet up for dinner....it goes on and on. We made a decision. We did not "LOAN" her the money for the trip overseas. They were forced to find another way. We decided that there was no excuse to not have SOMETHING saved up. If she had part of it, we probably would have helped make up the remainder. We felt awful about it, but felt like "tough love" was the best thing we could do for her. We have children who's future we need to secure. She is married and they need to be self sufficient and take care of themselves. We would not hesitate to help her again if another catastrophe came about. (Knock on wood.) But we will not be responsible for her irresponsibility anymore. I don't think that makes her a bad person. At some point you have to allow the other person to take responsibility for their own life. I don't think she was in the wrong. At some point people have to be responsible for their own lives. I think you made the right choice. This was not an emergency. If you keep paying for non-emergencies, they is no incentive for them to grow up. You do have a responsibility to yourself and your immediate family. No it doesn't make you a bad person. She was using you and will keep doing it if you don't put your foot down. Nope, not a bad person at all. They are lucky they have family like you, anony. Glad you feel better about getting it off your chest! You are not a bad person!!! You sacrificed for her and supported her financially and emotionally for a long time. They need to grow up and take care of themselves. You need a big thank you .. in the form of her growing up and taking your sound advice. I would not have lent her money either. It is devestating what they went through. I cried reading it. But you helped when you should have. OTherwise it sounds like your husband and your own responsible lifestyle : is being take advantage of by more than her? As your "host", you are welcome. I hope that it helped you to get this out! I have to agree with everyone above me. It sounds like you have done more for them (when they were in real need) than any member of my family has ever done for me. At the point where their "needs" become moochish and you have already warned them--it just isn't your responsibility anymore. Just because you helped them before it doesn't mean that you are committed to always do it! You sound like a pretty great person to me! 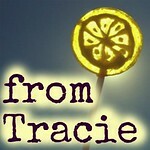 I love the picture in your blog header Tracie! Very pretty. I think it is wise to do what you would want to be done to you. If you were very poor and had no source of going to a funeral would you want someone to help you? Well of course. What if they had helped you before. Twice or three times? If you had no one else to help you would hope they would help. I always try to give when I can. Life is TOO short not to show the greatest of kindness. I do understand you wanted to save for your children so you made the right decision for you. I would have helped her. She has had a tough life. If I could have, I would have. My husband would have done what you did though! I'm all out of advice, but can I just say that this is a very great idea?! ?